Northshore Cultural Economy Coalition and St. Tammany Tourist and Convention Commission are honored to welcome Americans for the Arts’ Vice President of Research and Policy Randy Cohen and Louisiana Lt. Governor Billy Nungesser to a State of the Arts luncheon in honor of National Shop Local Artists Week. The State of the Arts luncheon will feature delectable Louisiana fare, a showcase of arts organizations and festivals with significant contributions to the cultural economy and live entertainment by saxophonist Greg Worthington. It’s a celebration of all genres of art and the many creatives who make up the rich cultural fabric of Louisiana. Tickets are $35 or reserved tables for eight $300, available here. Limited seating available, so early reservations are recommended. Reservation deadline: Wednesday, November 28. NO LATE RESERVATIONS OR TICKETS AT THE DOOR. Special thanks to Slidell Memorial Hospital/Ochsner Regional Medical Center. Edge of the Lake magazine and Slidell Magazine for sponsorship of this event. 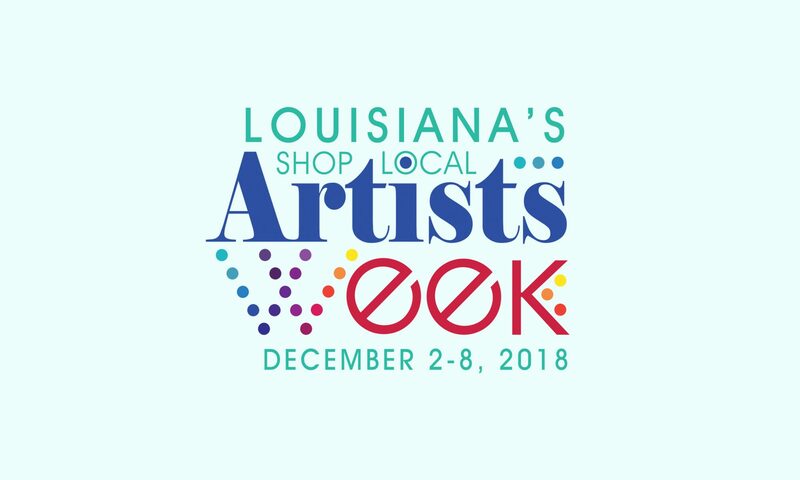 In December of 2016, Northshore Cultural Economy Coalition launched the initiative in Slidell as Shop Local Artists Weekend, hosted in the Art Marketplace in the East St. Tammany Chamber of Commerce. In 2017, with the support of Louisiana Senator Sharon Hewitt and State Representative Greg Cromer, the program grew to a statewide, weeklong event with the adoption of Senate Concurrent Resolution 20. In 2018, Americans for the Arts embraced Shop Local Artists Week as a nationwide celebration of the arts and artists.